The sturdy, hard-wearing and robust hammer weighs 360 g and is 30 cm long. The head is 75 mm long, has a head diameter of 45 mm and a head weight of 225g. 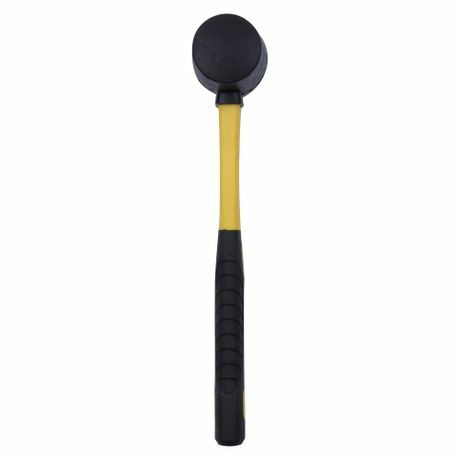 The black solid rubber head with 2 sides produces damped, controlled blows and leaves no streaks. 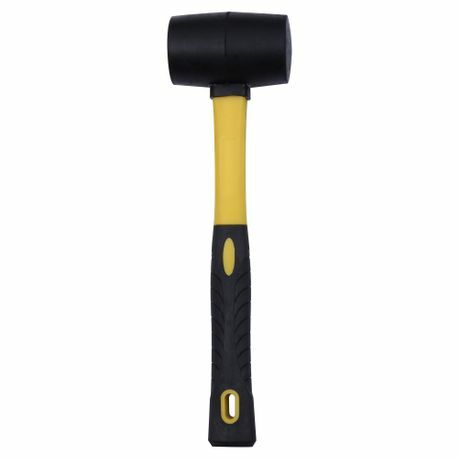 An all-round hammer for camping, outdoor, craft, DIY & much more.